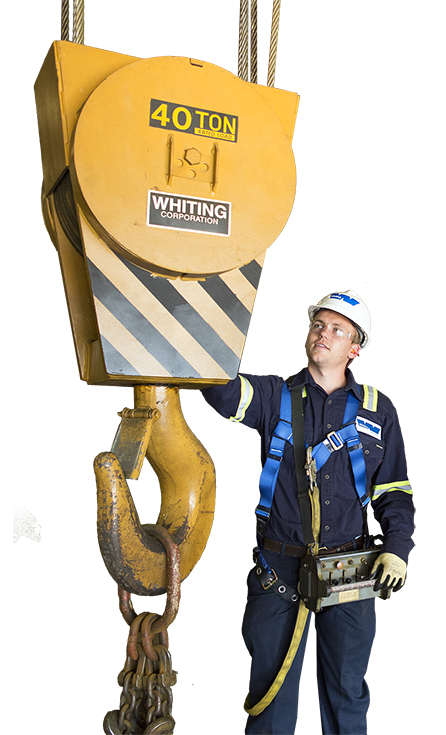 CMAA Spec 78 qualified technicians that prioritize safety through every facet of the job, Whiting Services will keep your lifting equipment operating at peak efficiency while minimizing downtime and lowering your overall operating and maintenance costs. 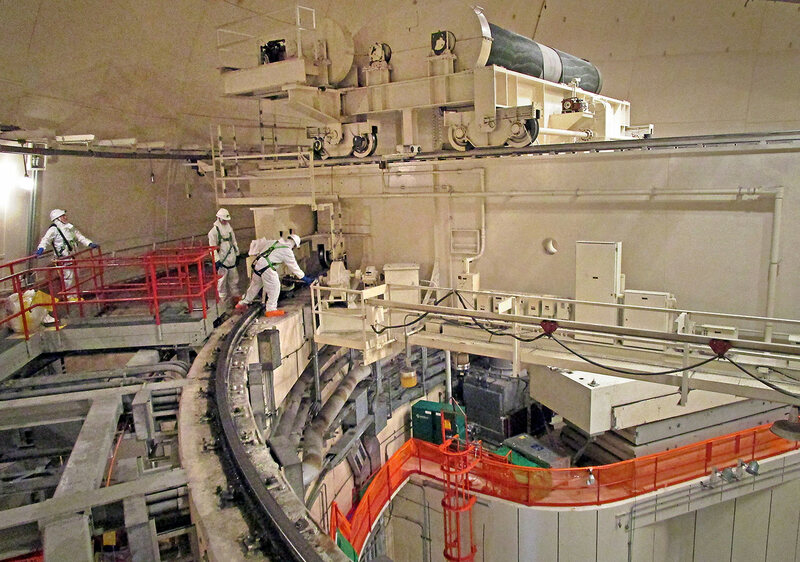 We have the expertise to install equipment around your schedule and in complex situations like hazardous environments. Qualified technicians methodically inspect your material handling equipment, and provide a detailed visual report with prioritized deficiencies. Repairing or replacing malfunctioning equipment in a timely manner is one way we help minimize your costly downtime. Updating controls, drives, motors, or operator cabs with the latest technology increases the safety, reliability, and performance of your crane while lowering overall operating costs. With technicians strategically located around the country, we can respond 24/7 to help resolve unexpected maintenance problems. Our rebuild program minimizes downtime and extends the life of your current lifting equipment at a fraction of the cost of new. Technicians will install new components from our complete line of Whiting OEM parts or other manufacturers’ parts. Having an optimized maintenance program that tailors inspections, repairs, and other services to the crane’s age, service class, and application will lower unexpected downtime. Using the hoists and cranes at your facility, we offer extensive training based on best practices and OSHA standards. Our team will help you select the best lifting solution between a variety of cost-effective hoists, small overhead cranes, jibs, and other overhead material handling equipment from leading manufacturers. Whiting Nuclear Services understands the vital importance of safe, reliable and on-time service of lifting equipment in Nuclear power facilities. We stand ready to rebuild, modernize, and service your cranes. Our expert service technicians will get your polar cranes running quickly during refueling outages, and stand ready to make sure they are running at peak efficiency.